Ernesto Presas was born in the coastal village of Hinigaran, Negros Occidental, Philippines on May 20, 1945. He began his training in the Filipino martial arts at the age of eight under his father, Jose Presas, a well-known stick fighter of his generation. Grandmaster Ernesto Presas is a multi-talented athlete. He was a collegiate athlete in track and field, football and basketball. His training in the martial arts is eclectic. He holds the rank of Lakan Sampu (10th Dan) in Arnis, Lakan Sampu (10th Dan) in Mano-Mano (hand to hand combat) and 8th Dan in Filipino Weaponry. 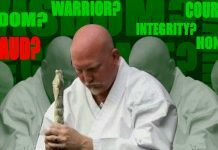 He is recognized as a ranking expert in Judo, Jujutsu, Bo Jitsu, Kendo, Tonfa, Sai, Chaku, Balisong, and Karate. As a young man, his dream was to reintroduce Arnis, the art that was for so long an integral part of Filipino history and culture. However, he realized that the classical systems presented a limited appeal to those living in the modern world. By analyzing the conceptual framework of the classical systems, he revolutionized the native martial arts into a complete effective fighting system appealing to contemporary martial arts students. Nevertheless, he was confronted with a Filipino society that valued foreign cultural icons, including those in the martial arts. A turning point for Ernesto Presas came in 1970 when he began teaching the Filipino martial arts at the University of the Philippines and the Lyceum of the Philippines with the goal of renewing the art currently dying in the Philippines. In the same year, he was invited to Japan to demonstrate the art of Arnis at “Expo 70.” Challenged to compare Arnis to the well-know sword styles of Japan, he quickly earned the respect of the Japanese masters who called his art Filipino Kendo. After returning to Manila, he established his first dojo with the help of his compadre, Modern Arnis Grandmaster, Frederico Lazo. Later that year, Grandmaster Presas founded the Modern Arnis Association of the Philippines International and ARJUKEN (Arnis-Jujutsu-Kendo) Karate Association International to formally promote the native art within the Philippines. His martial arts teaching duties expanded to include classes at the University of Santo Tomas, Central Colleges of the Philippines, the Far Eastern Military Academy, Philippine National Police Academy and the Philippines Air Force Officer’s School. Grandmaster Ernesto Presas yearned to introduce the Filipino martial arts to the outside world. In 1975, he founded the International Philippine Martial Arts Federation. 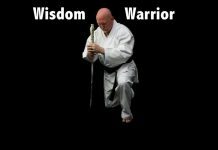 From that point on, his Presas Arnis style and techniques became widely adopted in Germany, Denmark, Sweden, Norway, Switzerland, Canada, United States, Mexico, Puerto Rico, New Zealand, Saudi Arabia, South Africa and Australia. He has published extensively. His books, The Art of Arnis, published in 1981 and Arnis: Presas Style and Balisong, in 1985, demonstrate the basic techniques of single and double cane, espada y daga and the balisong knife. 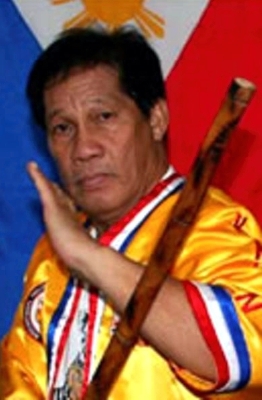 Grandmaster Ernesto Presas diligently researched the Filipino martial arts for over 30 years to develop a systematic approach to the application of Arnis style into a complete hand-to-hand combat style called Mano-Mano. In the June 1991 issue of Inside Kung-Fu, he was featured in the cover article Ernesto Presas: The Father of Mano-Mano. Currently, Grandmaster Presas travels the world teaching seminars to propagate this Filipino art. 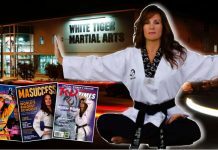 In turn, numerous martial arts students and instructors from around the world express homage by taking advanced lessons from him in the Philippines. Great Grandmaster Ernesto Amador Presas passed away in his sleep on November 1, 2010 in Manila, Philippines, (October 31, 2010 in the United States).